Churches are becoming very creative when it comes to creating awareness for their program these days. "If You Laugh at me Kiak! Kiak!! Kiak!!! 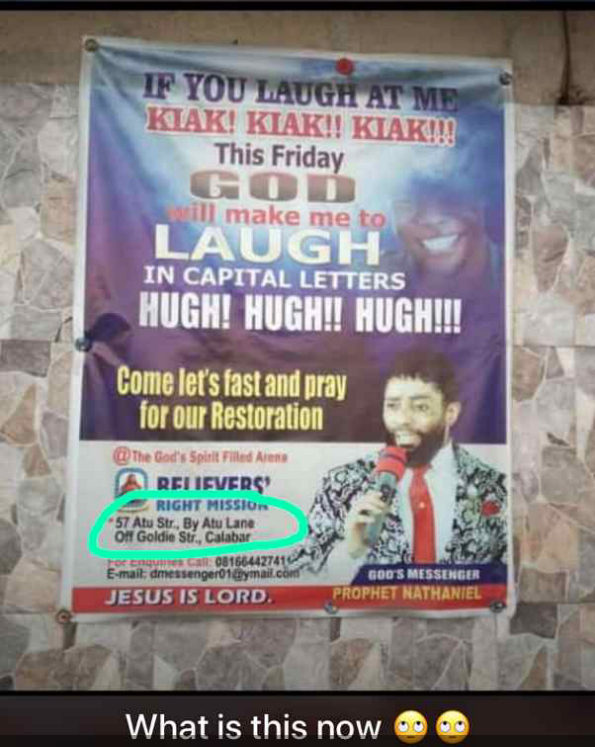 This Friday God will make me to Laugh In Capital Letters HUGH! HUGH!! HUGH!!!"